The problem? At 141lbs and likely somewhat tall tall, the blonde teen is noticeably thin — and clearly not the kind of girl who is ever made fun of for her size. Kales, though, doesn’t seem to have figured that out. Last year, she screengrabbed several hateful tweets about ‘heavier’ girls revealing skin. None were directed at her, and as they all followed a similar theme, they seem to have been purposefully sought out with a Twitter search. 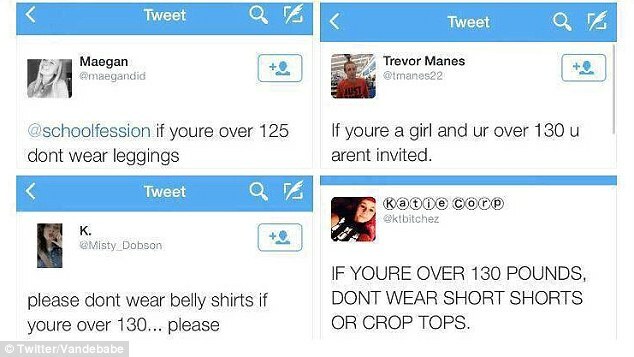 ‘Please don’t wear belly shirts if you’re over 130lbs,’ wrote one. ‘If you’re over 130 pounds, don’t wear short shorts or crop tops,’ wrote another. 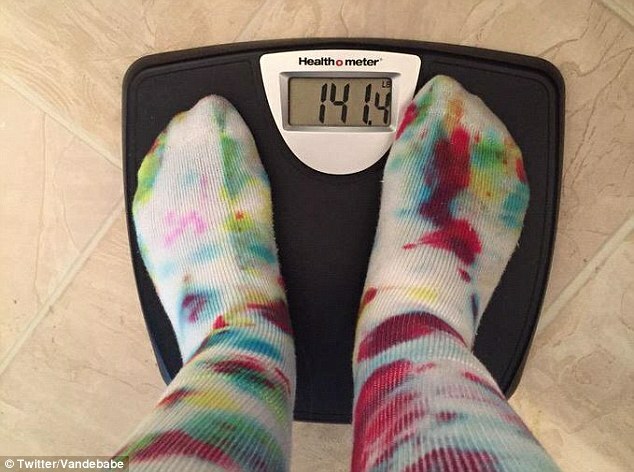 She then posted a picture of herself on a bathroom scale, which shows that she’s 11lbs over that threshold. That was followed by two selfies in which she dressed defiantly in white cut-off shorts and a blue cropped tank top. Women, and people in general, really need to start looking inward and stop looking outward for acceptance. Including these rotten people who thought it was okay in the first place to even suggest what others can and cannot not do with their attire. They have my permission to slap some sense into themselves.